New Halo Maps! 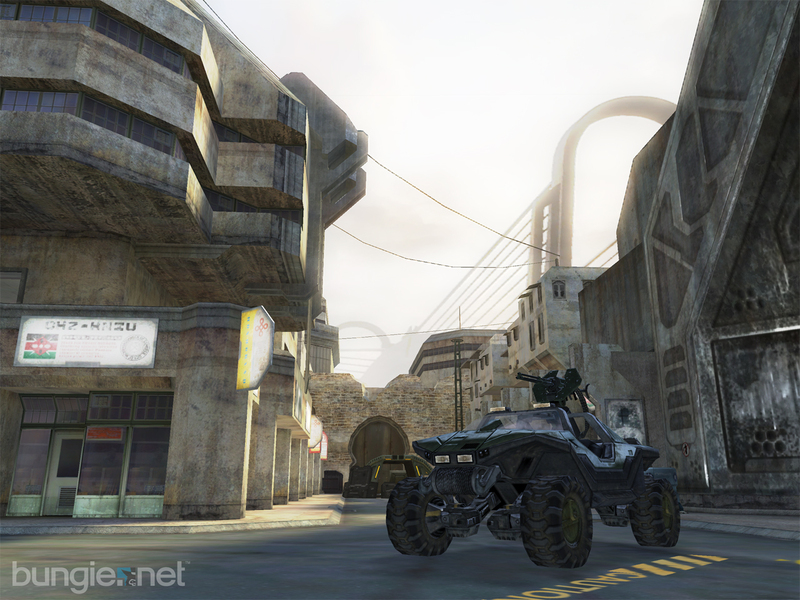 New Halo Maps! New Halo Maps! Hey! New Halo Maps! Coming Soon! With a sneak peak available right now. This is way cool -- to me, Containment kinda looks like a Coagulation-scale map (but maybe with some of the pedestrian-traffic boredom eliminated.) And just the other night I was playing the H2 campaign game, and thinking to myself: "Wouldn't it be cool to do multiplayer in Old Mombasa? I got my wish -- 'Turf' (pictured) looks like it'll be a blast. And in other exciting Halo 2 news, a good friend of mine just got onto Live for the first time tonight. (You know who you are.) Evening frag-fests will never be the same again. Hey! New Halo Maps! Coming Soon! With a sneak peak available right now. This is way cool -- to me, Containment kinda looks like a Coagulation-scale map (but maybe with some of the pedestrian-traffic boredom eliminated.) And just the other night I was playing the H2 campaign game, and thinking to myself: "Wouldn't it be cool to do multiplayer in Old Mombasa? I got my wish -- 'Turf' (pictured) looks like it'll be a blast. And in other exciting Halo 2 news, a good friend of mine just got onto Live for the first time tonight. (You know who you are.) Evening frag-fests will never be the same again. This page contains a single entry from the blog posted on March 28, 2005 1:32 AM. The previous post in this blog was Jorn's Back. The next post in this blog is Grok.